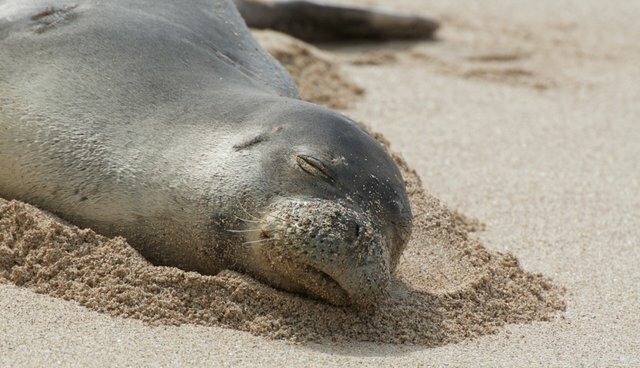 Hawaiian monk seals face habitat loss, scarcer food and threats of debris entanglement - but there's a slight ray of hope for the animals the New York Times calls "the Zach Galifianakises of marine mammals." National Oceanic and Atmospheric Administration biologists have noticed a few more of the endangered seals around this season. "This year we've seen increases in juvenile survival and that's usually pretty bad with one in five seals surviving to adult hood," says Charles Littman, a NOAA researcher, to local Hawaiian media outlet KITV. One hundred twenty-one seal pups were counted in the Northwest Hawaiian Islands - that's 20 more pups this year than last. Chiller waters from El Nino may have had a positive effect on the seals' survival, the scientists say, as the monk seals seem to fare well when the ocean is cold. Although there are more seals in 2014 than have been spotted in the past few years, the entire population totals only about 1,100 seals, with an average decline of about 4 percent per year. To help the seals - which are protected under the Endangered Species Act, the Marine Mammal Protection Act and Hawaiian state legislation - government agencies have removed some 700 metric tons of sea garbage; these pinnipeds are particularly likely to get wrapped in junk, NOAA points out. 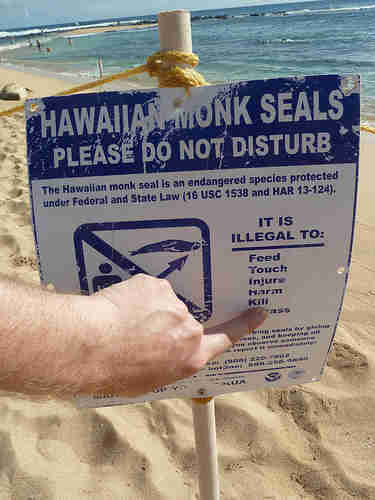 And they've clashed with beach-going humans, culminating in a spate of monk seals murders in 2011. And if you spot a seal on the beach, let the sleeping monk lie. Not only is it illegal to harass the seals, but they don't take to photos nicely.